Teacher registration is turned off for customers that have ordered digital products and have an administrator account setup on Sadlier Connect. 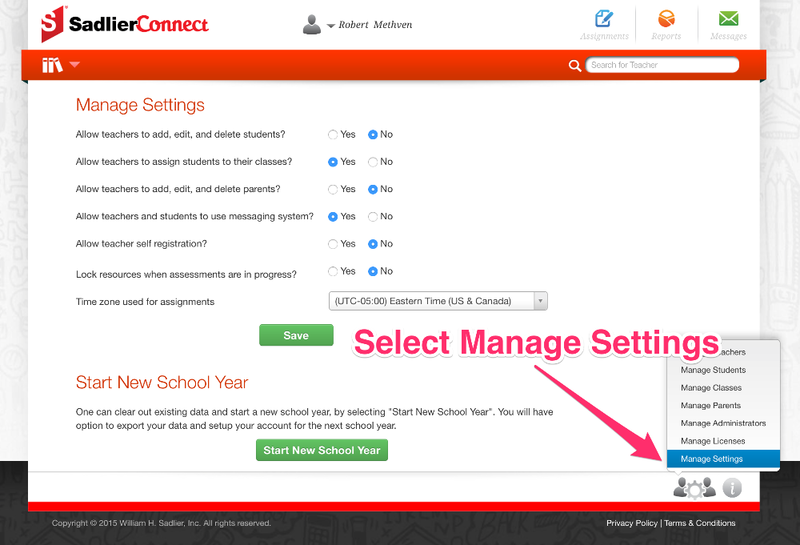 Most schools will use the "Manage Teachers" or "Import Teachers" functionality to setup teacher accounts. You may also re-enable teacher registration. 1. You must be logged into a school administrator account to enable teacher registration. 3. 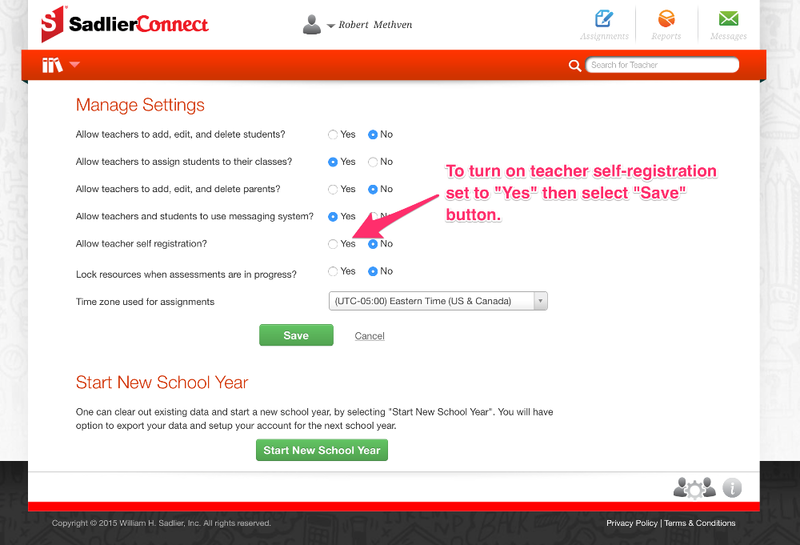 Select the "Yes" radio button to the right of "Allow teacher self-registration?". 4. After selecting the "Yes" radio button, you need to select the "Save" button to save the settings. To disable teacher registration, follow the steps for enabling teacher registration above, but select "No" for "Allow teacher self-registration?" for Step 3.